Josephus, soldier, statesman, historian, was a Jew born at Jerusalem about 37 CE. A man of high descent, he early became learned in Jewish law and Greek literature and was a Pharisee. After pleading in Rome the cause of some Jewish priests he returned to Jerusalem and in 66 tried to prevent revolt against Rome, managing for the Jews the affairs of Galilee. In the troubles which followed he made his peace with Vespasian. Present at the siege of Jerusalem by Titus, he received favours from these two as emperors and from Domitian and assumed their family name Flavius. He died after 97. 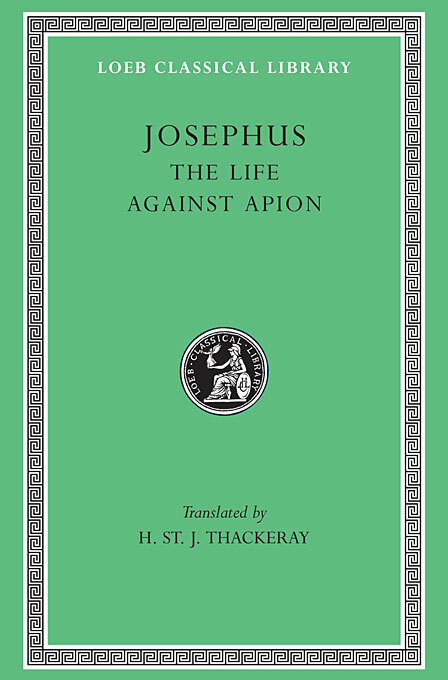 As a historical source Josephus is invaluable. His major works are: History of the Jewish War, in seven books (the Loeb edition is in three volumes), from 170 BCE to his own time, first written in Aramaic but translated by himself into the Greek we now have; and Jewish Antiquities, in twenty books (nine volumes), from the creation of the world to 66 CE. 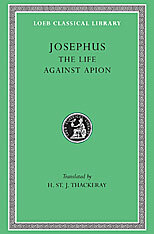 The Loeb Classical Library edition of the works of Josephus also includes the autobiographical Life and his treatise Against Apion.